Before the Affordable Care Act and the movement of value-based care, hospitals really didn’t have to worry about making sure patients didn’t return to the hospital after discharge. Hospitals are facing penalties for readmission. Patient engagement has gone from being a theory to what organizations are now implementing to save money. Both patients and health organizations are seeking ways to learn more about their care and many are using digital health channels as a medium for this purpose. 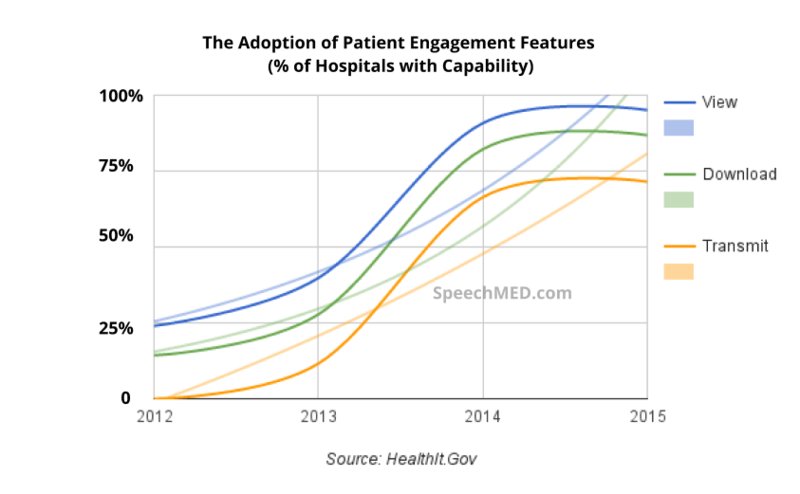 A recent Accenture report highlights which tools are most popular for patients to be engaged. The internet tops the lists, then following behind that is Mobile and after EHRS. These are the channels that patients are seeking to be engaged. Looking at the data we can see that 55% of patients age 65+ use websites while only 16% use mobile apps. The largest group of mobile users are millennials, but oddly enough the data shows that 65+ demographic uses EHRs by 38% more than the other age groups reviewed in this study. This highlights that adoption in this market may be poised to grow in areas like mobile health. 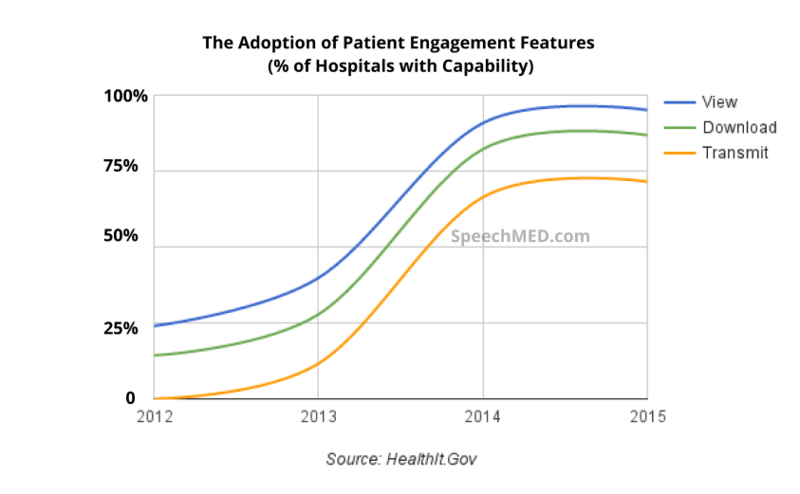 The adoption of patient engagement features by hospitals in the US has increased over the last 4 years. Since 2012, there has been an increase from 24% to 95.1% in the ability to view information from medical records. The second area of growth is downloading health information which has gone from 14.3% in 2012 to 86.8% in 2015. An important aspect of patient engagement is being able to send or transmit summaries to third parties. The transmitting capability has been adopted at a faster rate than all other features. Transmitting data summaries had 12% adoption in 2013 and climbed to 66% the following year. Last year 72% of US hospitals were reported to adopt software that could transmit data. One of the barriers to adopting Patient Engagement features like transmitting data summaries are regulations in the Health Insurance Portability and Accountability Act and the issue of Health Interoperability. Data privacy and security are sensitive subjects because of the nature of the health care industry. Patient information is valuable and as a result, many companies may be hesitant to add transmit functionality because of the risk of making their systems vulnerable to hacking. While Patient Engagement is still in its early stages there is no doubt that it’s adoption is needed to shift the current health care system to one that focuses on value-based care. According to Harvard Business Review, the use of data analytics will continue to become popular for increasing patient engagement. 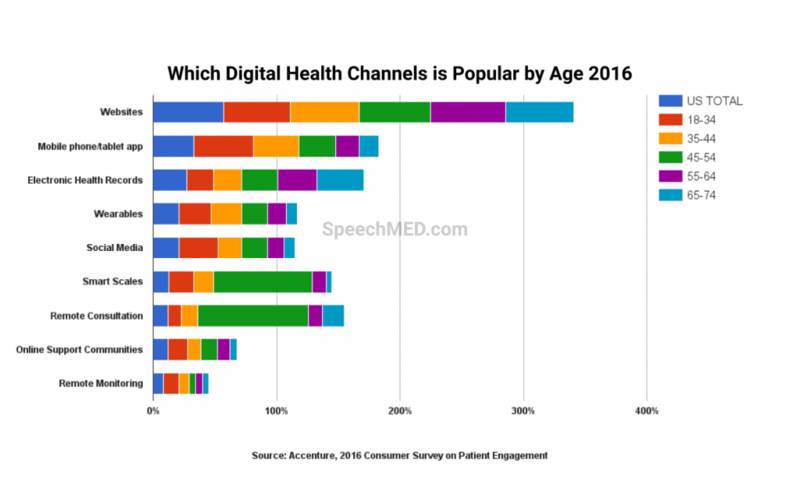 At SpeechMED, our engagement platform serves the top channel people seek in Digital Health and was designed for the needs of patients and health organizations alike. We are in hospitals and seeing more patients who subscribe to tools like ours to understand their health information. Are you looking for ways to leverage patient engagement for your health organization? 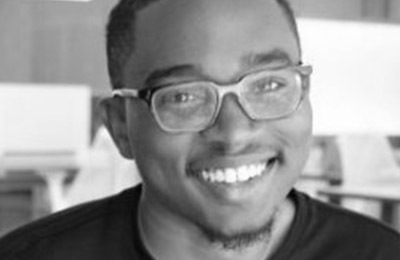 Gregory is an analyst on the Growth Marketing Team at SpeechMED, a Healthcare Engagement and Informatics platform that is simplifying how caregivers and patients understand their health information.